This estate planning website was created in 2007 to clearly define a living trust vs will in easy-to-understand terms for both young families and those without dependent children. 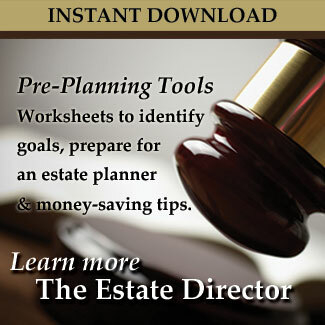 You will learn similarities and differences between different estate planning documents and discover ways to optimize your estate plan's effectiveness. As you read the site, prepare a list of questions for a future meeting with an estate planner. If you are the successor trustee of an existing trust we hope this site provides answers to potential questions but do not hesitate to contact a local attorney for assistance. Both documents can appoint people to manage your estate after you pass. In a will, this person is called the PERSONAL REPRESENTATIVE or EXECUTOR. In a trust, this person is known as the SUCCESSOR TRUSTEE. Both documents name beneficiaries of your estate. However, here is where the differences begin. Last will & testaments state "where" assets will go. Wills provide no control how assets are used. Living trusts can state "where", "when" and "how" assets will be distributed. They can hold assets long after the trust's creator passes. Living trusts have this ability because they are legal entities. A living trust can hold real estate, vehicles, bank accounts and non-qualified (after tax) investments. A life insurance policy or retirement account might list a living trust as the beneficiary. A living trust does not replace a will. It is used in conjunction with a special will called a "pour over will", which can direct the distribution of assets left outside the trust and lacking beneficiary designations. The pour over will often lists the living trust as the beneficiary. Effective date: A will takes effect after you pass. A living trust takes effect when you sign the document and transfer assets into it. Incapacitations: Wills are useful once you pass. Living trusts can sometimes make management of an estate during an incapacitation easier than power of attorneys alone. Privacy: Wills are made public during the probate process. In some states living trusts are private documents and not required to be recorded. Probate: Probate is court process, not a tax. The process validates a will, ensures instructions are followed and repays creditors during the transition of an estate. Probate's cost and length differ in each state. Assets with listed beneficiaries (life insurance, IRA's, beneficiary deeds, etc) and assets in a living trust avoid probate. Guardians: Wills name guardians for children. Living trusts do not name guardians. Holding assets: Living trusts can hold assets after a person has passed. Common reasons for holding assets include: managing assets for young beneficiaries, protecting special needs beneficiaries receiving disability income, maintaining assets for a spouse in a blended famly, and providing for pets. Contesting: If someone contests the estate, living trusts are sometimes better equipped to handle the contest. Taxes: Living trusts can minimize ESTATE TAXES for married couples by doubling estate tax exemptions. A will by itself can not double exemptions. There is a federal estate tax and some states have their own estate tax. Estates transferring less than $5M in 2011 and 2012 are not subject to the federal estate tax. Amounts over $5M are taxed. In many states, if you have less than one million dollars of net assets (including life insurance payouts) there is little worry of estate taxes. Even if you have a will or living trust in place, how prepared is your estate for someone to step in and act quickly? 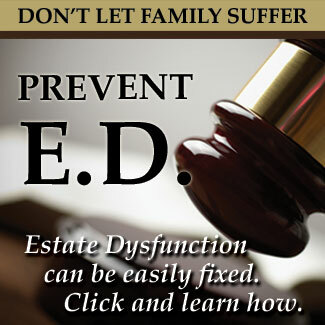 Read powerful testimonials for these useful planning tools which can save time and money for a spouse, your executors, trustees, agents acting under powers of attorney and guardians for your children. Important: Please consult with a legal professional before undertaking any actions. The information in this web site is provided with the understanding that the publisher is not engaged in rendering legal, tax or investment advice. While every attempt has been made to provide current and accurate information, neither the author nor the publisher can be held accountable for any errors or omissions. You agree not to hold any employee or person associated with www.livingtrustvswill.com liable for action you take from the information on www.livingtrustvswill.com.